Mockplus allows you to make mockups for mobile, web as well as desktop apps, with a library of ready-made UI components and free icons. Also, it has more to offer and adds functionalities to your layout for creating interactive prototypes for better showcase and presentations. In the new 3.2 release, it adds a set of cool features to streamline and better your design, including the Repeater, UI Flow, Templates, Sketch Import, Mind Map design mode, as well as the Auto Data Fill of image and text. The team collaboration there can be the best and easiest ever. If you don’t want to create custom icons yourself and to spend a considerable amount of time dealing with a range of UX guidelines, device sizes and color scheme, then you can give Icons8 a shot. It’s a massive online library with 58,000+ icons in any of your preferred format, size, and color. A wealth of well-crafted vector icons are available for free use. Everything is well organized: you have categories and styles, such as iOS 10, Windows 10, Color, plus a search field — all these help to navigate easily. Icons can not only be integrated into Photoshop and Xcode but also embedded into website HTML. 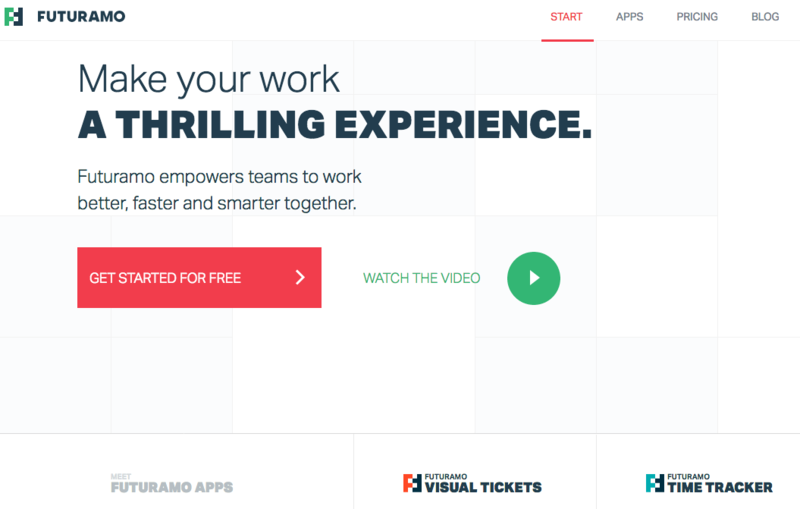 As a collaboration platform for team, Futuramo has a loads of visually compatible icon set on the web. In specific, it offers 45,000 UI icons (with 3,000 icons in 16 styles) that are ready to mix and group together in dedicated sets. All of the icons are impressive and crafted with utmost precision so as to meet the most demanding design requirements. If you want to insert your screenshots into iPhone or iPad mockups templates in a fun and engaging manner, then this site is your ideal choice. 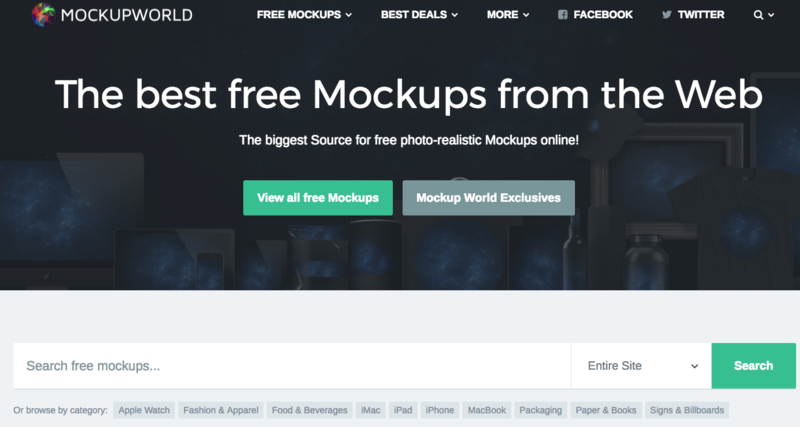 Not only can you get free access to 600+ product mockups, but also place the app screenshots into the given mockup by simple drag-and-drop. If you need images in higher resolution, then you can claim 15% off on single purchase or on subscription purchase for the first month. 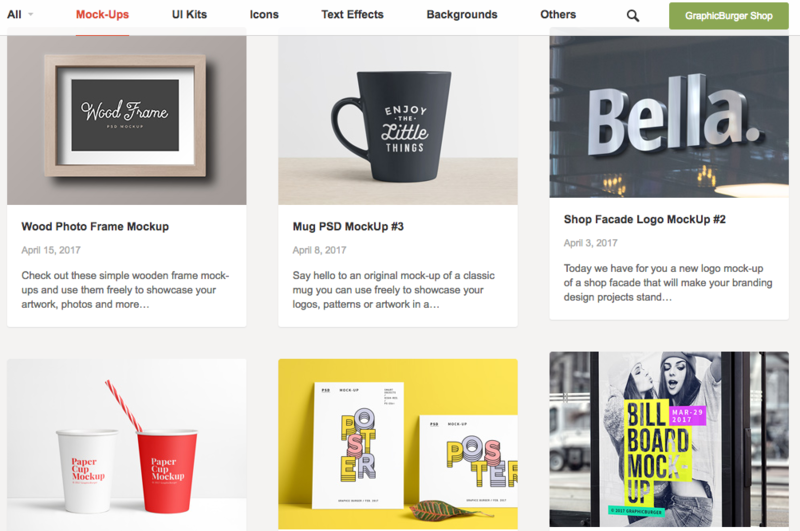 It’s a vibrant community that provides a tremendous number of free mockups for graphic designers. Besides that, you can discover and share the other free UI kits out there, including vectors, fonts, patterns, textures, PSDs and more. Having been working hard providing high-quality graphic templates, Pixeden offers free background graphics, text effects graphics, web graphics and much more. 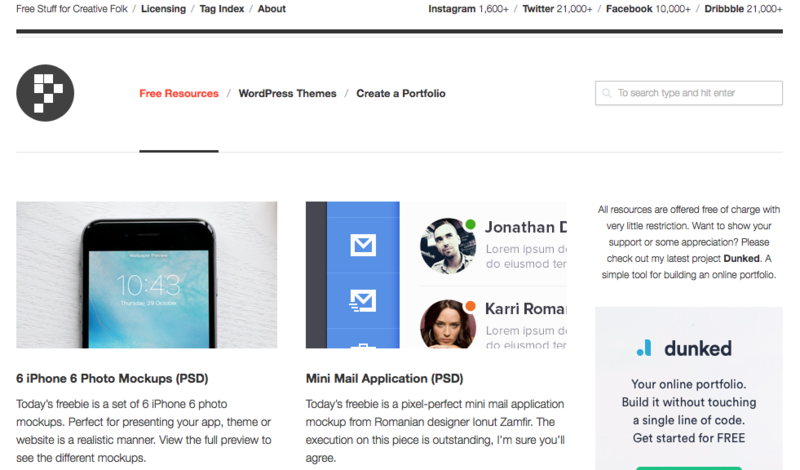 This can be one of the best websites for free mockup templates PSD designs. Graphic Burger has become a popular place to discover free mockups for graphic designers. There is a wealth of quality design resources like mockups PSDs which are created by Graphic Burger and other industry-leading designers from the global community. Here are lots of handpicked and free mockup templates PSD designs created by designers and agencies across the world. 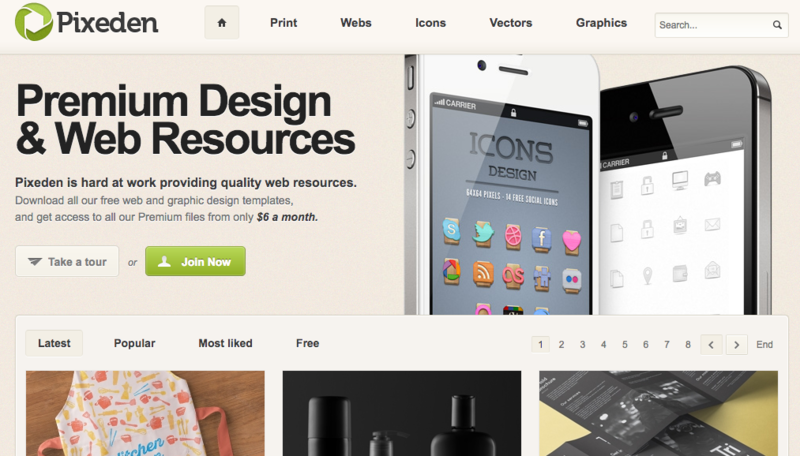 A highlight is that each free mockup is featured with a thumbnail and a link directing to the download page. It’s easy to navigate by the classified directory. It’s an amazing freebie club where you can find free and beautiful sketch templates, icons, patterns, brushes and textures, etc. All of those resources are available for free download and use.